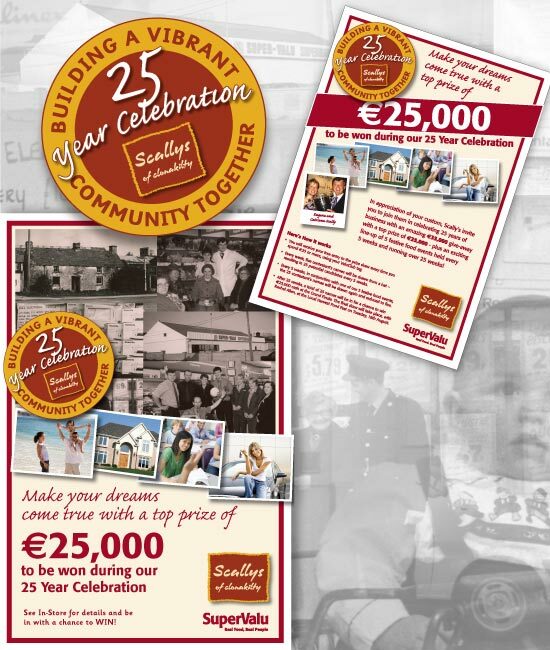 Nutshell designed all the advertising for Scallys SuperValu 25 year anniversary celebrations. This included a competition with a prize of €25,000. This competition, set over 25weeks, included monthly events held instore. These events revolved around the celebration of different foods, from local produce to foods from all around the world. Nutshell worked to very tight deadlines throughout this campaign designing and producing exhibition panels, instore posters, leaflets and adverts. 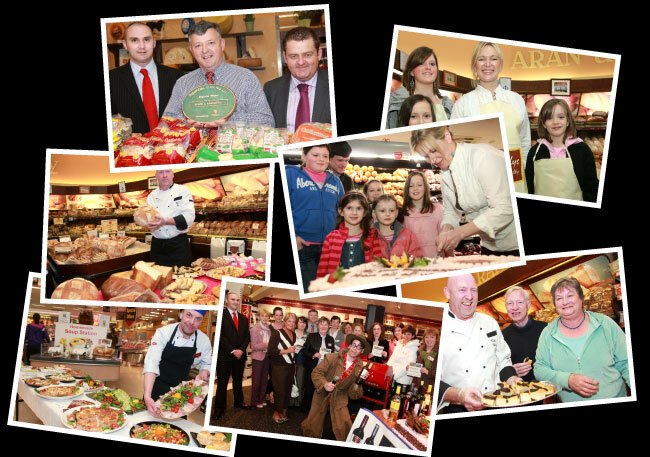 A sub campaign was run producing monthly posters and adverts celebrating the winners of each draw while highlighting the food fest events held instore.